Will she allow the secrets of her childhood to threaten the happiness of her future? Moonlight on the Mersey is an engrossing Liverpool saga which explores the complexities of family life, by much-loved author Anne Baker. Perfect for fans of Cathy Sharp and Nadine Dorries. 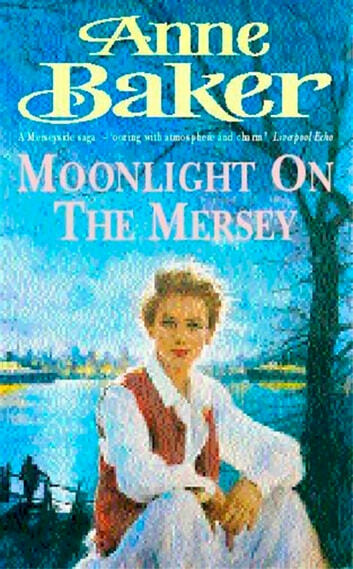 Jill Ridley's childhood was one of loneliness and fear, and returning to her family home in Merseyside to join her stepmother's medical practice she decides to uncover the truth behind such painful memories. The discovery of a photograph of her stepmother holding an unknown baby prompts Jill to ask questions. But no one seems willing to answer her. It is only when Jill's stoical step-grandmother, Victoria, tells the harrowing tale of her tragic past that the pieces of the puzzle start to fall into place. Coming to terms with shocking revelations, Jill must also face the future. The surgery's prospects are bleak; Jill's father is buckling under work pressures; and Felix Kingsley, a young journalist, has started paying attention to Jill - but are his intentions honourable, or is he using Jill to probe for secrets that affect his own family...?